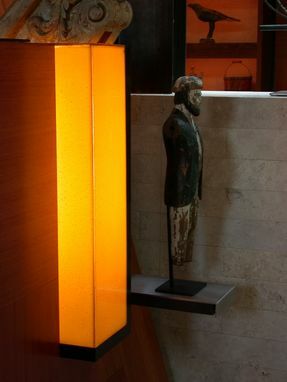 cast and fused glass light box constructed of amber glass and lit from within. Fit snugly into the custom woodwork that surrounds the glass. Dimensions: 8" x 8" x 20"